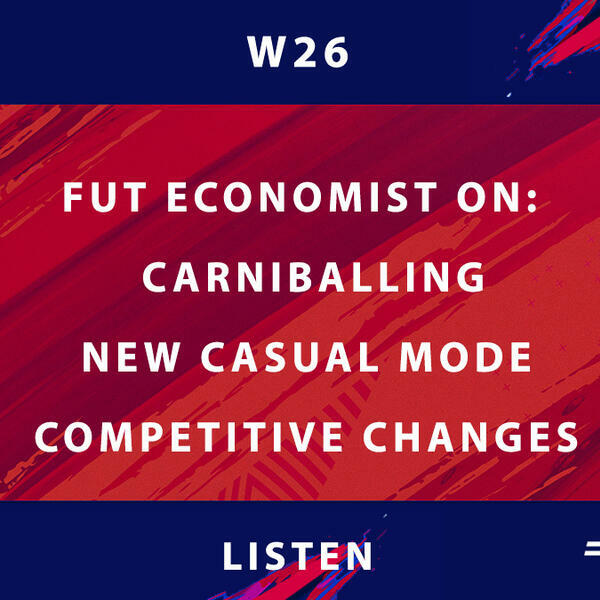 FUT Economist is here for a shorter but even more action packed pod, he’s joined by Ben and The FUT Coach Steve to chat about what some (not Steve) are calling the perfect FUT content blueprint: Carniball! Plus we’ve got some ideas for improving the casual offering, with inspiration from Apex accolades, why we need to see a casual mode and #MakeLosingRewardingAgain. At the other end of the FUT spectrum they discuss why competitive FIFA is becoming less ‘Pay To Win’ and why Tekkz has been dominating the competitive scene and how he might not have even turned pro this year.